A big warm welcome to the team!! Get ready for an amazing ride filled with many ups and downs and plenty of plateaus. I am sure your athlete was ecstatic about being asked to join team and worked really hard to get there. She was jumping up and down with her team mates and couldn’t wait to get her hands on her new sparkly team leo and warm ups. Seeing her so happy makes your heart fill with joy. If you haven’t been in the competitive gymnast arena before you may have no idea what to expect as you start this journey. Your athlete is probably starting out at levels 2,3 or 4. A lot of parents get so caught up in the excitement that they forgot that the journey is long and that it means something different to each and every child. Here are 5 tips to help you keep things in perspective so you can enjoy the process. 1) Don’t try to figure it out. You will drive yourself nuts if you try to figure out the scoring and deductions at the younger levels. Every competition and every judge is different. What they see and what you see are two totally different things. Yes, it would be nice if each athlete got a critique card after every competition so they know what to work on but as of right now.. it is what it is. Embrace your child after every competition and let them know that you love being there supporting and watching them–no matter what the results are. 2) Your child is YOUR child. Don’t compare your child’s progress to that of their teammates. Every child is different and especially at the younger levels they catch on quickly. Don’t get caught up on “Suzie got her kip, why doesn’t my child have it” again… you will drive yourself nuts! Just trust the process that your child will learn what they need to learn in due time. Please don’t scold, bribe or guilt your athlete into getting new skills or moving up. This represents a bad example as the motivation needs to come within–especially when they get up to the higher levels. Lastly, just because your child demonstrates a natural talent doesn’t mean she has the fire and passion to survive the long haul. A lot of children demonstrate amazing potential in the early levels… don’t get caught up in that. 3) Don’t worry about the levels. The level system was established for a reason. As your child progresses they will move up in levels when the coach and the athlete feel it is time to move up. Every gym is different in what they deem each child proficient enough to move up. According to USAG, once a child demonstrates proficiency at their level and receives the mobility score they can move up. Some gyms like to hold athletes back and train up a level. The playing field is not fair… get used to it. Pushing your child to move up before they are ready will only backfire and may hurt their confidence and self-esteem. You also may feel they need to stay with their team at the end of a competition season but again, every child progresses in their own due time… trust the process. Chances are your child will not be an olympian.. in fact, there it is .0001 percent chance they will. Chances are they will quit the sport by the time they are 13,–70% chance they will. Try to remember why your child started gymnastics in the first place… It was FUN!.. your job as a parent should not be to become over involved or coach at home. It should be to encourage them. Sometimes your child will get skills quickly (especially in the beginning) and sometimes it may take a year or two. Try to focus on the process and enjoy the small victories along the way. It’s the small victories that make the athlete and teaches valuable life lessons, not the race to get to the top. Also, keep in mind that as the levels progress this may not be the sport or the program for your child. If they are not progressing and frustrated it may be time to move to another program or to another sport that accentuates her talents. This is a tough sport, in fact one of the hardest sports in the world both physically and mentally and is not for everyone. Don’t get involved with the gym banter. Your conversation with other gym parents should not be “how old is he/she? what level are they at?” In the end, it won’t really matter. Try to keep things in perspective. Gymnastics is not the end-all for your athlete. It is part of their journey… whether it turns into another sport or activity the lessons learned along the way are what’s important. Your child just wants unconditional love from you no matter where the sport takes them. Each day will be filled with many emotions as they leave the gym/competition floor. Remember it is their sport, be there for them in a loving way. The most important thing to learn as a new gym parent is to keep balance with your family, the sport and their education/other activities. The athlete is turning to you– the most important person and role model in their lives, to help them do that. It is easy for them (and you) to get caught up in all the excitement that this wonderful sport has to offer however, it is just one piece of their lives. Make sure the other parts are important also. Putting all of the focus on this sport at early ages and letting them train 20 hours at 8-yrs old while letting other areas of their lives take a back seat, may not be right for your child and family. Remember they are only (age) once. Make sure their childhood memories are well rounded so they can look back and remember all parts of their lives not just one. I read this article when my daughter first became involved in gymnastics about 18 months ago and I came across it again tonight. Seems even truer now than it did then. It’s a great article that I think I need to read weekly! 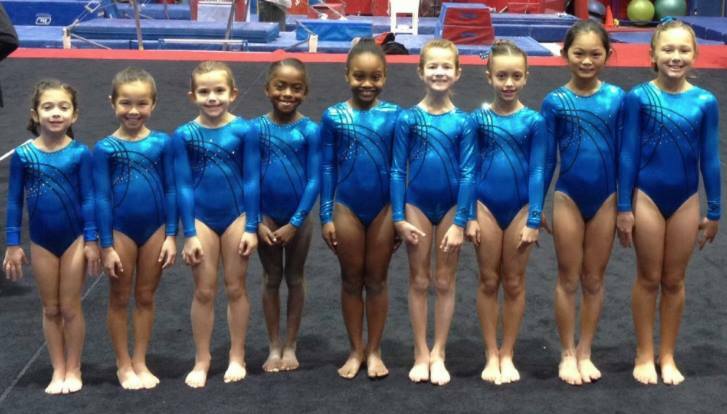 I really like what you said about how you shouldn’t compare your child to other children in gymnastics. My daughter wears glasses and my wife and I have been concerned about her doing gymnastics. We think she would really love gymnastics though so maybe we should really encourage her to go to it. She’d probably do great. We should look into signing her up.